2014 was the year that customs moved into the mainstream. Nearly every major motorcycle brand has been working with independent builders: some publicly, and some privately. Yamaha and BMW are visibly throwing their weight behind the scene, while the Italians are working behind closed doors. 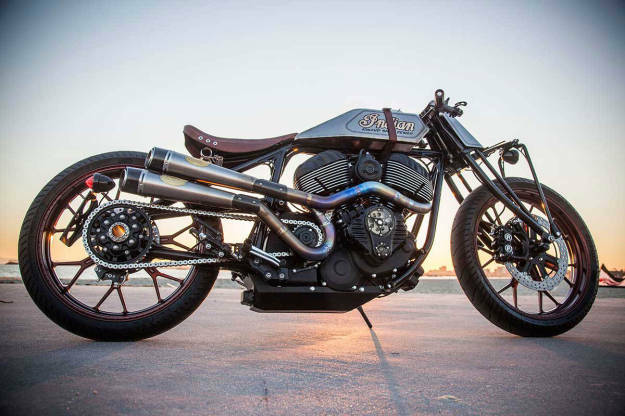 Indian has enlisted Roland Sands to rework its Chieftain, and more customs are on the way. Triumph is more polyamorous than ever. Even Suzuki is playing the game—recalling Katana designer Hans Muth to rework its Bandit 1250. 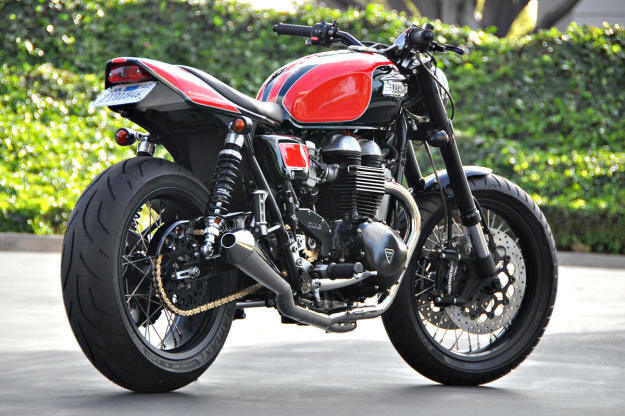 For fans of café racers, trackers and scramblers, it’s been a bumper year. And it’s been a great 12 months for Bike EXIF too: in a matter of days, we’ll pass the 100 million page views mark after just six years of operation. So here’s our pick of the best bikes of 2014, judged by web traffic figures, social media shares and incoming links. Enjoy. 10. Roland Sands x Indian ‘Track Chief’ There’s something just ‘right’ about the classic board track look. Perhaps it’s the symmetry of the wheels. Or maybe it’s because the engine is always the star, nestled into a skinny frame. Roland Sands created ‘Track Chief’ to showcase Indian’s spectacular Thunder Stroke engine, with a nod to Indian’s fine sporting heritage. 9. ‘Recall’ by Ton-Up Garage This BMW from Portugal just radiates old-school glamour. The story is romantic, too: the bike was reunited with a family that owned it decades ago, and the rebuild banished years of rust and neglect. It’s a ground-up overhaul, with discreet upgrades like new fenders, a custom exhaust and low-rise bars. And possibly the most glorious vintage-style paint job of any bike we’ve seen this year. 8. Mule Triumph Café Roadster Richard Pollock is the king of trackers: he’s built over 100 so far. But every now and then he tries something different, such as this roadster with a café racer vibe. Like all bikes that roll out of the Mule Motorcycles workshop, it’s a high performance machine and not just a pretty face. The forks are from a Yamaha YZF-R1, the six-piston brakes are from Beringer, and the wheels are top-spec Sun alloys. Most riders will view this bike from behind. 7. 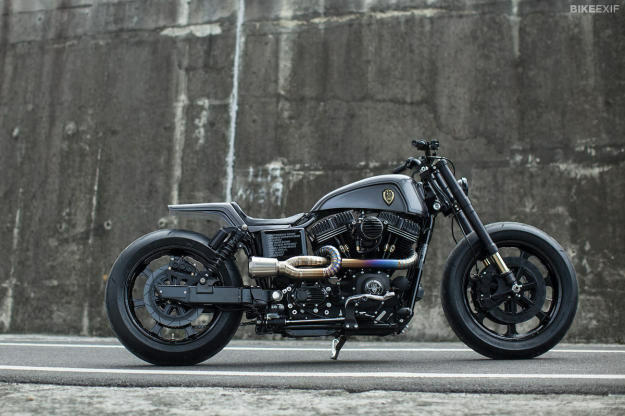 ‘Urban Cavalry’ by Rough Crafts There’s a sinister, sci-fi look to this Harley-Davidson Dyna. It’s from Taipei-based Winston Yeh, a former Roland Sands protégé making a name for himself with murdered-out Milwaukee metal. ‘Urban Cavalry’ is based on a 2014-spec Dyna Street Bob, but it’s running Kawasaki sportbike forks and a custom alu swing arm. Power gets a boost from S&S ‘Super G’ carburetion and a titanium exhaust worthy of a Formula 1 car. 6. 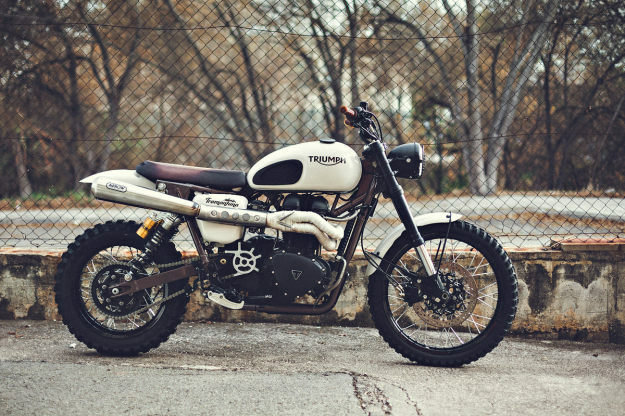 ‘Tramontana’ Triumph Scrambler Imagine if Triumph’s own chassis development gurus decided to build the ultimate off-road Scrambler. That’s exactly what happened here, with five Spanish engineers at a loose end after signing off the Tiger 800XC prototype. ‘Tramontana’ is an essay in mechanical engineering, with revised geometry, massively increased suspension stroke, ultra-light Excel rims, new ergos and a weight loss of 40kg. 5. 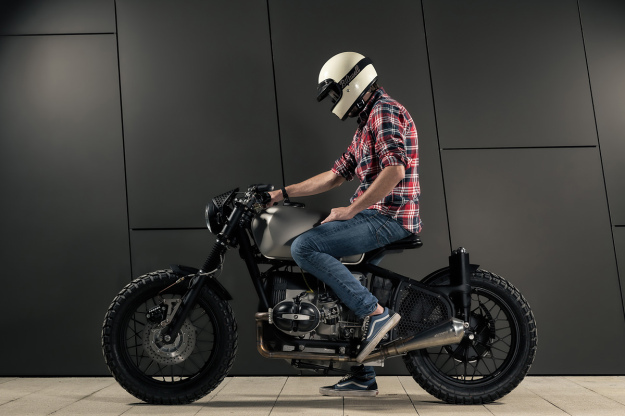 ‘Voltron’ by ER Motorcycles The Slovenian workshop is one of the fastest-rising stars on the custom scene. Named after a giant robot from an old animated TV series, ‘Voltron’ is a clever, retro-futuristic mash-up of styles and eras. 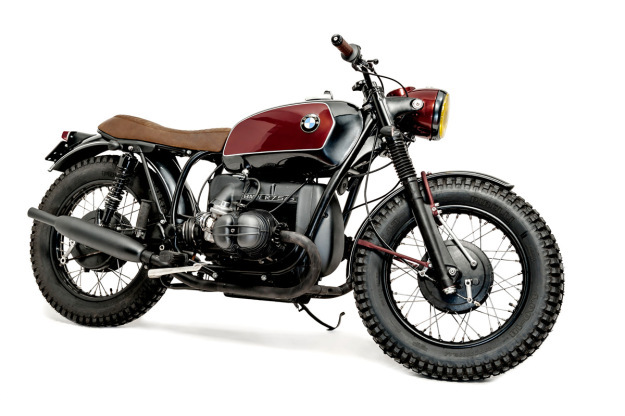 It’s a mishmash of vintage BMW parts, including a 1964 R69S frame, an R80 engine and front end, and a classic ‘Toaster’ tank. In the hands of most builders the result would be an unholy mess, but this one strangely works. 4. 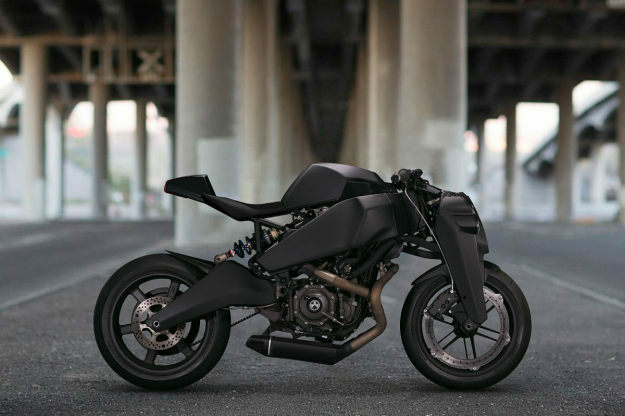 Magpul ‘Ronin’ If Batman rode a Buell, it’d look something like this. 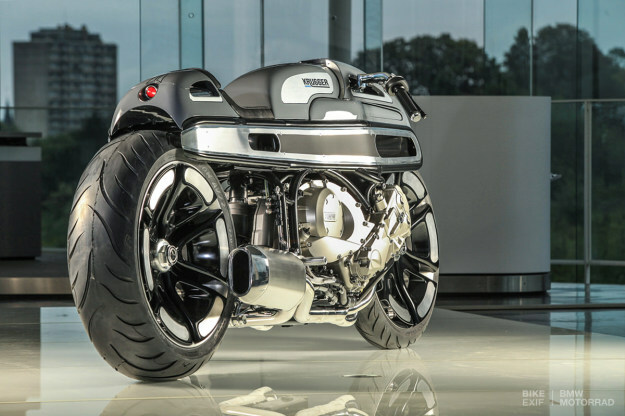 The Ronin is a limited-production machine costing $38,000—the same price as a Harley CVO Limited tourer. The weak points of the 1125 have been eradicated with the ruthless precision you’d expect from a gun maker: the Rotax engine is now cooled by a high-flow radiator, and the Showa forks have been replaced by an alloy linkage that gives the bike a menacing, hunched-forward look. 3. Senna Tribute by Marcus Walz German builder Walz is a familiar face in the Formula 1 pit lane: he’s customized motorcycles for Seb Vettel, Kimi Räikkönen and David Coulthard. He’s now paid tribute to another well-known F1 rider, the late Ayrton Senna. 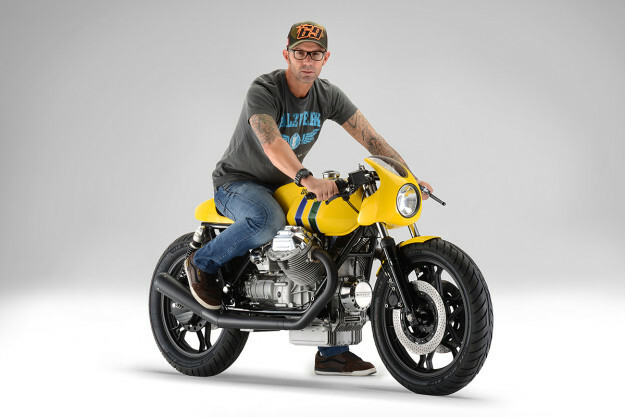 Never mind that Senna was usually seen on a Ducati: this Moto Guzzi Le Mans Mk I is all about power and style, with an engine punched out to 1040cc and a paint job reflecting Senna’s famous helmet designs. 2. 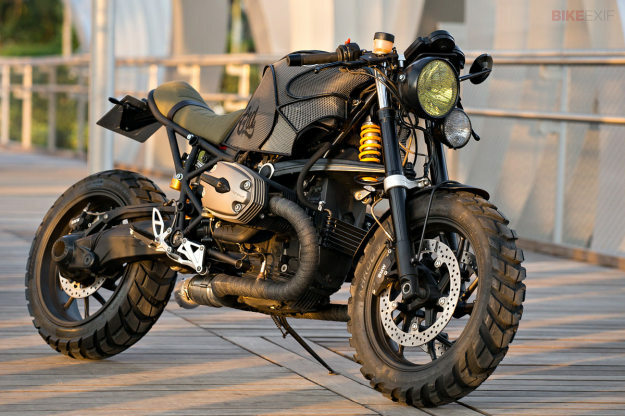 BMW R1200S by Café Racer Dreams Six months ago, CRD’s brutal boxer took out the top honors in our half-year roundup. And it’s still hanging in there, attracting a torrent of web traffic. The mesh exoskeleton and apocalyptic looks must have something to do with it, but there’s some very neat fabrication happening too—like a completely new rear subframe and seat unit, and adjustable Öhlins suspension front and rear. 1. 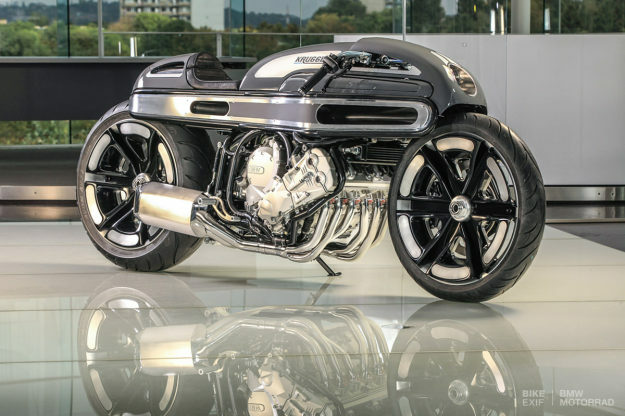 NURBS by Krugger The BMW K1600 has six cylinders, seven computers, multiple drive modes and adaptive headlights. It’s not a bike that anyone in their right mind would want to customize. But for Fred “Krugger” Bertrand, the K1600 was just another challenge. And it delivered the Belgian his second AMD World Championship. The Art Deco bodywork wouldn’t look out of place in the next Tron movie and the straight-six engine is suspended in a completely new frame. The Duolever front suspension is heavily modified too, with only the original shock remaining. And the oddball name ‘NURBS’? It means ‘Non-Uniform Rational B-spline,’ a concept used by engineers to create freeform surfaces in car and ship design. It’s a tour-de-force of custom bike building, and a worthy winner of our annual Bike Of The Year. We’d also like to say thanks to the photographers who captured these machines for us all to enjoy. And it’s worth mentioning a few builders who very narrowly missed the cut, notably Huge Design, Clutch Customs, Daniel Peter, Speedtractor, UCC and Maria Motorcycles. Want to see the winners from previous years? You’ll find them here. 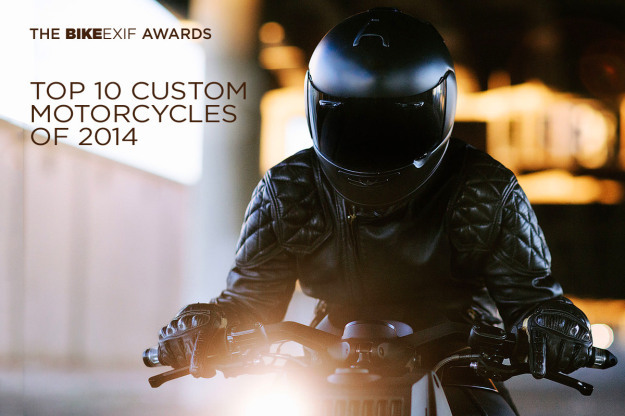 Start 2015 on the right note: sign up for the Bike EXIF email to get the latest customs in your inbox as soon as they’re published.